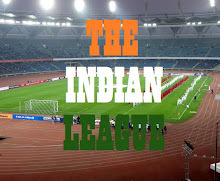 Indian Football Team dropped by One position in recently released FIFA Rankings and are now placed at 130. India, who have amassed 244 Ranking points finds themselves sandwiched between Suriname at 129 and Dominican Republic at 130. Indian Team played their last international friendly in September 2016 and have seen their ranking improve thanks to some good results as well as technicalities of FIFA Ranking System. Iran continues to be the top ranked AFC team but have dropped 3 places and are at 32nd position, followed by South Korea and Japan, who are 39 and 52 respectively in the list. India's Group A Opponent in AFC Asian Cup Qualifiers, Kyrgyztan, Mynmar and Macau continue to hold 124th, 159th and 184th position respectively in the Rankings. India will travel to Cambodia to play an international friendly on March 22 and then travel to Myanmar, where they begin their Asian Cup Qualifier campaign against the host on March 28.